The Tsiolkovsky rocket equation or ideal rocket equation, describes the motion of rocket vehicles. Rocket vehicle accelerates by expelling part of its mass(propellant) with high speed and move due to the conservation of momentum. 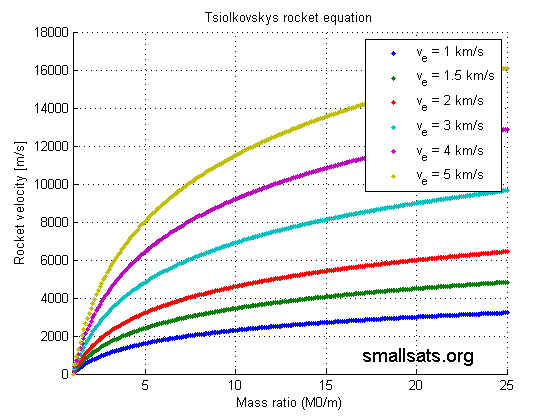 The Tsiolkovsky’s equation relates the change of speed of the rocket(in absence of other external forces) with the effective exhaust velocity and the mass ratio(ratio of initial and final mass of a rocket).